10/100/1000 Copper nTAP | VIAVI Solutions Inc.
Place a 10/100/1000 Copper nTAP between two devices of interest on a 100 Mbps or 1000 Mbps copper link. 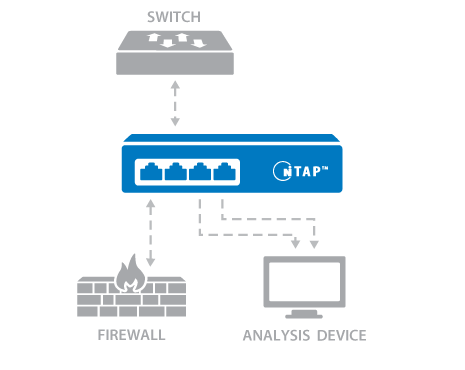 Then attach a copper monitoring device to the nTAP. To successfully analyze the full-duplex link, the monitoring device must be equipped with a dual-receive capture card.